I've suffered with thick and super oily hair my entire life and it’s been a hard road finding a good shampoo and conditioner. I've tried probably everything at the drugstore and everything makes my scalp produce more oil faster or just makes my hair heavy. I used to have to wash my hair every day (which I know is horrible and makes my hair problems worse) because the Dove products I was using were not helping at all and by 10 pm the night before my hair felt greasy and heavy. So when I thought I was never going to find anything that would work I was introduced to the wonderful world of KM hair products through my aunt. She bought me a sample set of his hydrating shampoo and condition and this is when the love affair began. Even though it is a lot more expensive then the drugstore alternatives, I only replace my bottles twice a year so I think yearly I save tons of money – I probably bought at least 10 bottles a year at the drugstore prior to this since I had to use it daily. I think the cost ranges on the actual hair salon you purchase it from I think I pay around $20-25 per bottle of shampoo or conditioner. I usually get it when there’s deals going on like buy one get one 25% off or whatever. Oh and just a note all these products are paraben and sulphate free as well as cruelty free! 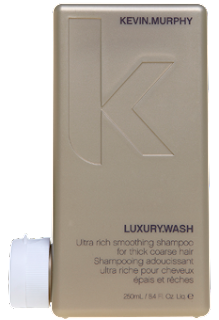 In the winter I tend to use the luxury wash and rinse which is specifically for thick coarse hair, I love how it’s a bit more hydrating during those cold months when my hair needs it. During the summer I use the Born again essential treatment and Balancing Wash. All of these products are great for colour treated hair and actually protect your colour from oxidizing which is perfect for my blonde hair. 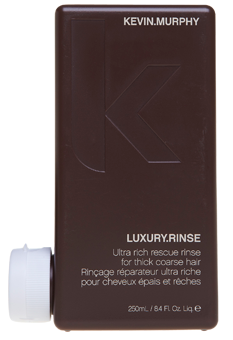 Even though I have only tried a few shampoos, rinses, hair spray and some leave in products I would practically recommend to try anything that suits your hair type from this line. I think it’s an incredible line and every product made my hair feel way better and now I only have to wash my hair 2-3 times a week max with some of my dry shampoo in between. Have you tried any of Kevin Murphy products? Which ones are you favourites? Follow me on Google Friend Connect so you can keep up with all of my new posts!